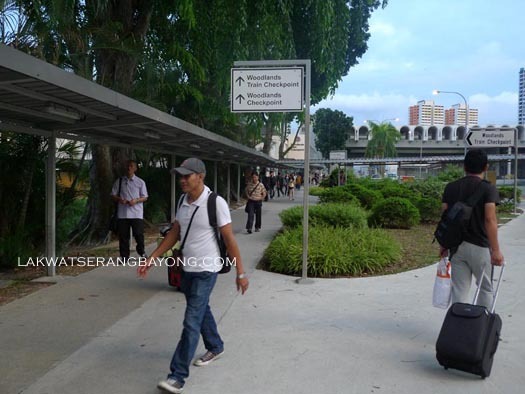 We rode the night train from Kuala Lumpur eating flaky and creamy Portuguese egg tarts at the lower berth and got spilled into the new train station and checkpoint in Woodlands, Singapore the next day at a half lit morning with lids still heavy from sleep. 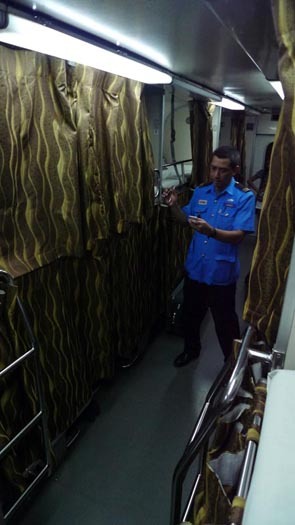 Operated by the Keretapi Tanah Malayu Berhad, the diesel hauled KTM Senandung Sutera 25 left KL Sentral’s station at 11 PM and arrived in Woodlands exactly on schedule 8 hours after. Our berths were secured by BUYING OUR TICKETS ONLINE about 3 weeks in advance. 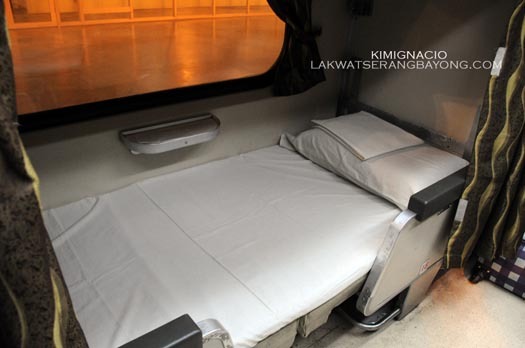 Kim got the lower berth for MR 46 or Php 690 and my upper berth at MR 40, one way. Exchange rate at the time of travel is roughly pegged at 1 MR = Php 15. Upon confirmation, an e-ticket will be mailed to you and just print your copy. 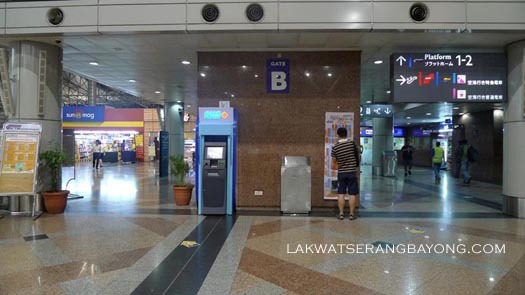 When in KL Sentral, go to the 2nd level at Gate B near Dunkin Donuts, a magazine shop and a money changer. Platforms 1 and 2, where Senandung Sutera 25 departs, is one level down. On your left is the magazine shop sandwiched between the money changer and Dunkin Donuts. one level down is the platform where you board the train. A steward will be checking your tickets minutes after boarding the train. There’s no restaurant car so best to have dinner at KL Sentral first or bring some energy bars or munchies for those midnight hunger pangs. If you need to change some currency, the money changer Pengurup Wang Berlesen offers reasonable exchange rates. 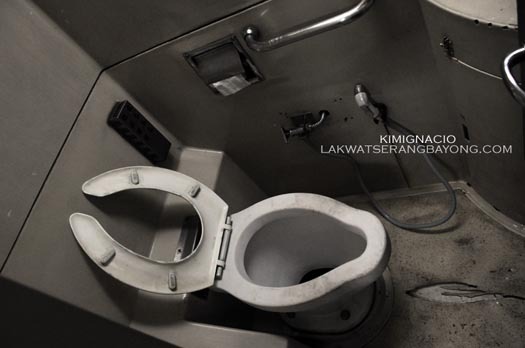 2 restrooms or tendas in Malay are found in every end of each car. 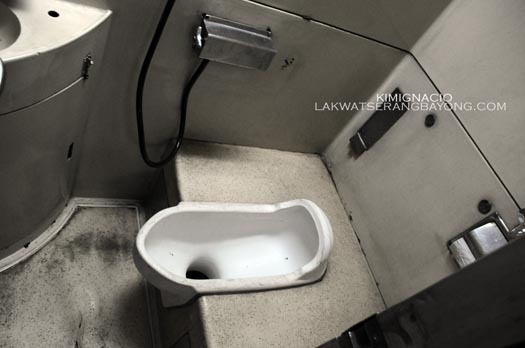 Woefully, they are not as spotless as the train car itself. 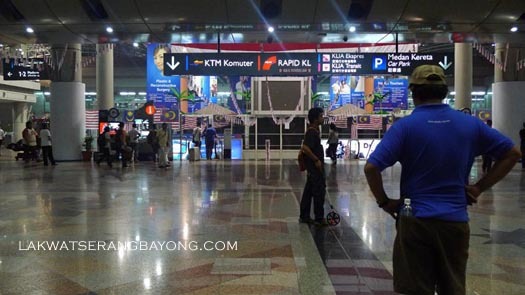 Malaysia’s immigration officials will get on board and will be moving from one berth to another to stamp you out in the morning just before arriving in Singapore. The Woodlands train station and checkpoint is the last stop. When you get there, alight from the train and bring all your stuff. Arrival and departure cards are on your right when you enter the checkpoint. Fill out the forms and queue behind the yellow line as you wait for your turn to get stamped in. No picture taking is allowed. We breezed through immigration and customs and soon enough we are out on the streets. Upon exiting the train checkpoint, we took bus number 913 to go to Woodlands MRT station. Bus fare is S$1. Singapore’s MRT is fast, convenient, easy to understand and works like a dream. From there to Bugis, our fare was $2.20, the S$1 refundable upon the return of the single journey ticket. Exchange rate then was at S$1 = Php 35. 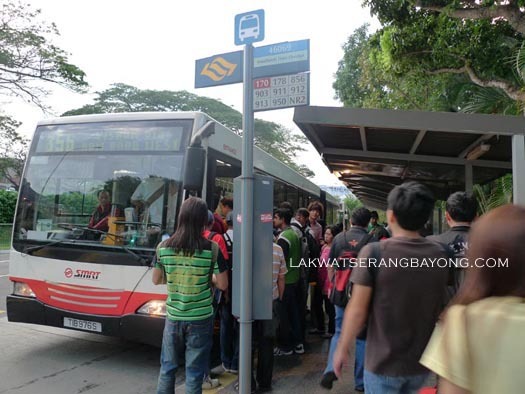 Bus stop at Woodlands. On your right as soon as you exit the building. More often than not, memories are a bit biased. It tends to retain only the good and has a way of forgetting the bad, leaving you with a rose colored hindsight. But I’m glad such was not the case with my train rides. It was as comfortable and convenient as I remembered it to be and after doing it the second and third time, from Kuala Lumpur to Singapore and from Singapore to Tampin (for Melaka/Malacca), I still look forward to doing more and perhaps longer transits on it in the future. Helpful post! Planning to do the same soon, but from SG to KL. Do you think this train is comfy enough for my 78-year-old mom? She's a trooper, but still, we'd like to make sure it wouldn't be a stressful ride for her. Thanks MJ! Carrybells na ni mommy ang night train basta makatulog sha. Seems like ito na nga. 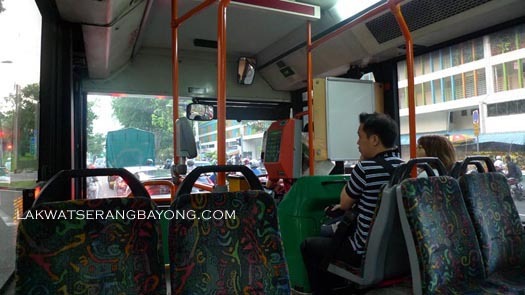 I'm not so sold sa bus kahit shorter travel time. Do we have to book online or puede buy tix sa station? This is a great alternative for a pricey plane ride. 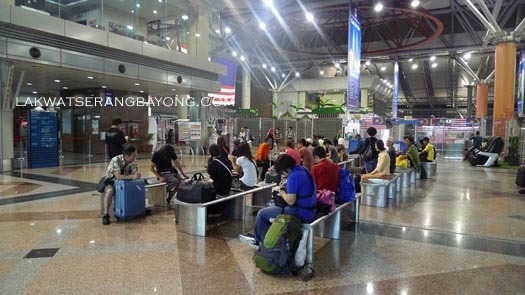 It will also save you one night accommodation if you leave late at night from KL or Singapore. Hi Ed and Aj! That is the biggest compliment for sharing our travel stories, knowing that the experience proves to be useful to other travelers as well:-) Looking forward to both your trips! Hi Gay and Luna! 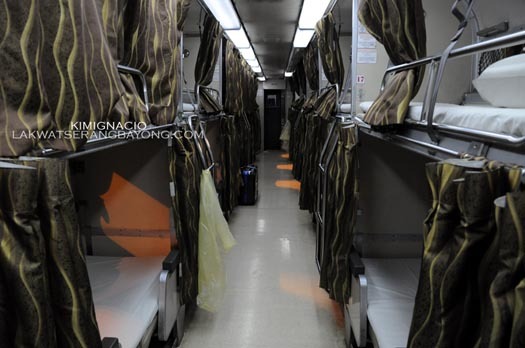 *waves* So comfy that on our way to Melaka, I was already snoring even before the train left the station haha. Hi Monette! Share mo after kung ok din ang experience nyo:-) Have a safe and fun travel! Hi, I'll be travelling with my wife by March next year via the Thailand-Malaysia-Singapore route and a possible trip to Indonesia and am now starting to research on possible destinations. This post is really a great resource on the travel plan that I am preparing right now. Thanks very much for sharing this. Thanks for your helpful post! A question-- is there a place to lock up your luggage, or do you just sleep with it and hope for the best? Hi Ruth! 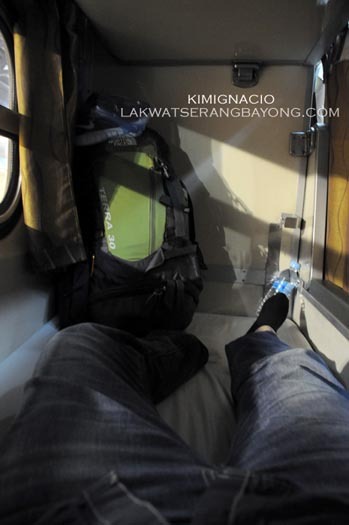 We had our trusty lock and cable woven to our suitcase and the bed post to keep our stuff safe and secure(http://www.lakwatserangbayong.com/2010/12/travel-essentials-keep-em-safe-secure.html). Couldn't just leave it to chance haha! hi thanks for this very helpful post! We plan to go to KL this august. We'll be coming from SG, is there anyway to avoid paying in SGD when we are in Singapore? Is it possible to ask someone from Malaysia to buy the tickets there and maybe send it to us thru e-mail? Are there no restrictions when it comes to the tickets?